But not the way you might think. They go into scam-overdrive mode. Black Friday and Cyber Monday are the busiest on-line shopping days and they are out to get rich with your money. So what to look out for? At the moment, there are literally thousands of fake sites, looking just like the real thing. Don’t fall for it. Make sure the site you go to is the real one. Type in the address or use your bookmark, do not click on links in emails with special offers. 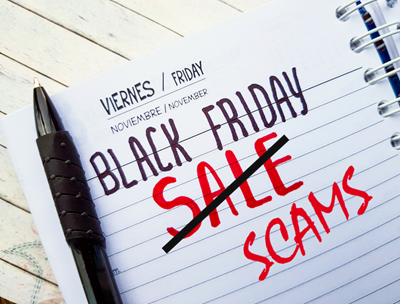 Don’t download fake mobile apps that promise big shopping savings, and be very wary of online discount coupons. Think Before You Click!